Just as organizations measure productivity, quality, and profitability, there is a need to measure and evaluate the effectiveness of online training programs. Want to know how this is possible? The good news is that this is both possible and simple, through the application of learning analytics via an LMS. 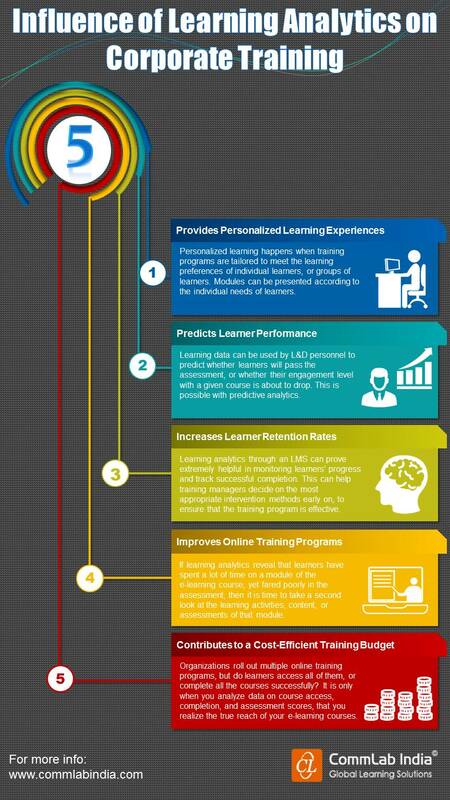 Check our infographic to learn five ways learning analytics has influenced corporate training programs, for the better.